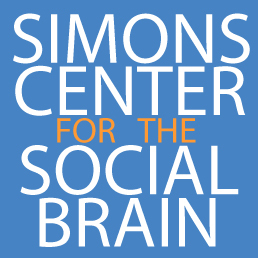 The Simons Center for the Social Brain is located in MIT’s Building 46 at 43 Vassar St in Cambridge, MA. The Simons Center offices are on the 6th floor of Building 46. The building has entrances on Main and Vassar Streets. The colloquium series takes place in Singleton Auditorium in Room 46-3002 on the third floor of Building 46. The lunch series takes place in the Simons Conference Room on the 6th floor of Building 46, in room 46-6011. The walk from the Kendall Square Red Line T station to Building 46 is less than one-half mile. To access the Vassar Street entrance to Building 46, exit the station and walk West along Main Street. Proceed straight across Ames Street; the next intersection will be Main and Vassar Streets. At the corner of Main and Vassar, turn left. Building 46 is the light grey building on your right. For non-MIT visitors, metered parking is available on Vassar, Main and Albany Streets. There are public parking garages on Ames St. between Main St. and Broadway, and on Portland St. between Main St. and Broadway.